I know it’s probably been like, almost an hour since you thought about Elon Musk, right? Well, I’m here to finally remedy that, by letting you know that Elon reportedly forced the Tesla board to pull out of a fairly generous settlement with the Securities and Exchange Commission by threatening to resign from Tesla if the Tesla board did not publicly defend and support him, according to the New York Times. The settlement was the SEC’s way of punishing Musk for claiming to have funding secured to take Tesla private, which turned out not to be the case, which the SEC felt constituted “false and misleading statements and material omissions” that harmed investors. 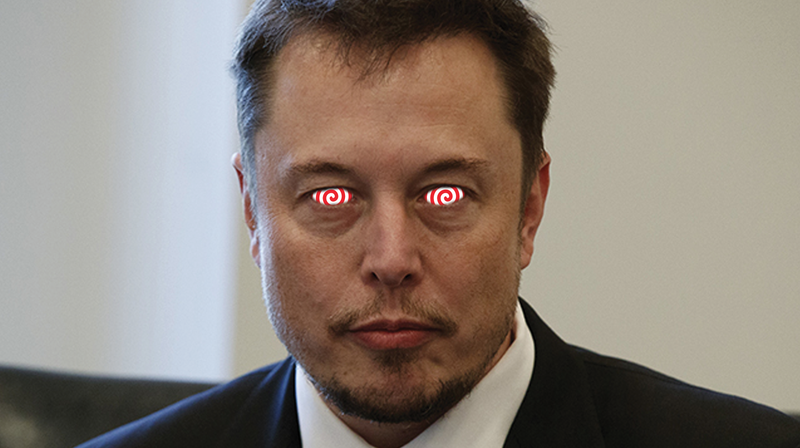 We asked Tesla for comment but have not heard back yet. The settlement was also quite accommodating to both Musk and Tesla, all things considered. According to the initial terms of the settlement, both Musk and Tesla would have to pay a 10 million dollar fine, and while Musk would lose his board chairmanship and cannot serve in that position for two years, he’d be able to retain his position as Tesla CEO. Really, it could have been much worse, and you could argue the SEC was taking it easy on Tesla. But it wasn’t enough for Musk. Jalopnik reached out to Tesla about Musk’s threat to resign and we’ll update if we hear anything. Eventually, on Saturday, Musk accepted the settlement, but his stonewalling caused the fines to double to $20 million for him and Tesla, and a year added to the length of time he had to wait before taking back the position of board chairman. The idea that a CEO of an important carmaker would demand his board blindly defend him, despite his clear mistakes, even at the cost of an extra 20 million dollars and a less favorable SEC settlement should be shocking. But, of course, that’s not how the world works anymore. Considering everything, I guess I’d be shocked if it didn’t go something like this.